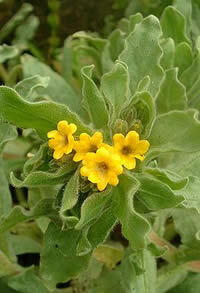 This member of the borage family has slightly citrus smelling leaves and makes a nice bedding plant. 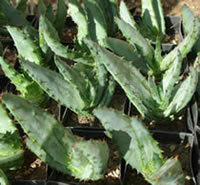 This is the most revered of the all the medicinal aloes and the mature plants are resistant to a bit of frost. It grows large and has red flowers. It is bitter and is a powerful laxative. Called Kalmegh in Ayurveda and Chuan-xin-lian in Chinese medicine, andrographis is an intensely bitter herb with diminutive but beautiful flowers. It is an annual that matures in 160 days and is self-seeding for the next season in warmer climates. 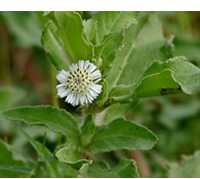 The herb is non-toxic but being bitter, it stimulates the flow of bile so when harvested for medicinal use, consider small doses. This herb is being used extensively by people with Lyme disease as well as digestive complaints. The seed is a slow germinator so scarify the seeds on fine sandpaper before planting. If the growing season is short, start the plants indoors or in a greenhouse. 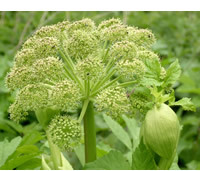 Angelica is native to Europe, the Himalayas, and Siberia and is very cold tolerant. The seeds are fragile and need light to germinate. It has only leaves in the first year and then has greenish-yellow flowers the second year. It has been cultivated in Scandinavia for a thousand years and Laplanders often add it to reindeer milk. The stems and seeds are used as flavoring in many liqueurs, such as Chartreuse and Benedictine. The dried leaves are used with hops in making beer. It is very aromatic and the essential oil is expensive! 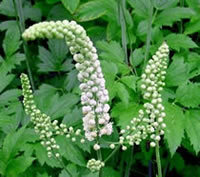 The roots are used in medicine, particularly for typhoid but also for colds and congestion. The other plant parts are carminative and aid digestion. 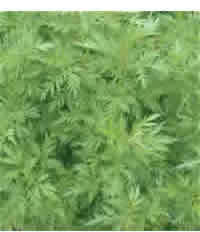 Artemisia annua, popularly known as Sweet Annie. This is, as the name suggests, an annual. It is native to China where it is known as Qing-hao. This herb is probably the most famous antimalarial herb in the world, but recent research suggests it is of significant value in treating certain kinds of cancer. Though it is easy to grow, demand has soared, thanks to U.N. sponsorship of various global efforts to reduce the incidence of malaria. Days to maturity: 100 days to harvest of leaf and flower, 160 days to seed. Artemisia annua prefers full sun and sandy, well-drained soil. For additional planting information, click here. 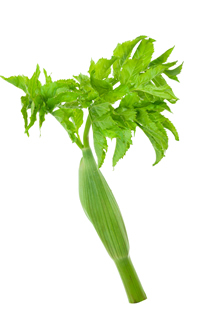 Ashitaba and is a type of angelica that has edible leaves. The nickname is "Tomorrow"s Leaf" because if you pick a leaf, a replacement appears the next day. 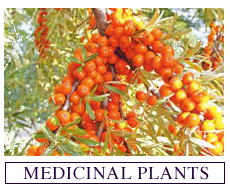 As such, it is regarded as a longevity plant than doubles as being anti-infective. It is maritime and a little tricky regarding germination. Then, it likes warmth and sunlight. It is very interesting looking and the stalks are edible, sort of like celery. It is a plant source of vitamin B-12 which is very interesting for vegetarians. Ashitaba is biennial and hardy to zones 6 to 12. 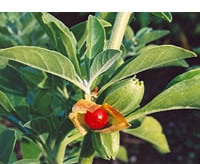 Ashwagandha is a nightshade that is easy to grow in the right climate. 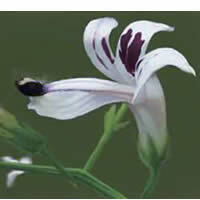 It is native to Africa and Asia and is intolerant of moist soil. It is a perennial in zone 8 and above and an annual in colder climates. One can harvest roots for medicinal use after 100 days. This is one of the most important rasayana herbs and is used to increase stamina, improve the capacity to manage stress, and regenerate worn out tissues, including those associated with neurological conditions. The seeds take 15 days to germinate and can be started indoors or in a greenhouse. Plant in well-drained soil. 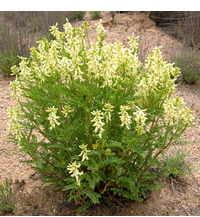 Astragalus is a major tonic herb that is native to North China and Mongolia. It is hardy to zone 4 and requires three weeks of cold to germinate. It is nourishing and immune enhancing. As a member of the pea family, it is edible. The roots can be used fresh or dried and added to anything that is cooked with moisture for a long time such as soups and casseroles. It has a pleasant taste and is non-toxic. The seeds should be lightly scarified and planted after the first frost. Germination is fast and the plants will grow to about four feet in height. Plant lots because the roots should not be harvested for 3-4 years. Astragalus is very safe for pets as well as people. Very easy to grow. Native to Lake Baikal, Mongolia, Siberia, and parts of China and is frost hardy. It likes full sun and dry soil. The root is used medicinally. It is antimicrobial and very high in flavonoids. Thrives to -30°F. Plant in fall for spring germination. Likes the shade. Can be used in cuisine or medicinally. This is suitable for zones 3 to 9. Full sun / partial shade, tolerates high altitude conditions. Easy to grow. Prefers moisture. 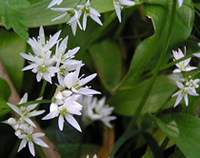 Can be grown in bogs or beds, full sun or woodland areas. Plant one foot apart. 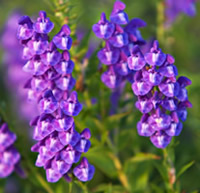 Plant in rich, fertile soil with other wildflowers. Likes some shade. It requires temperature changes to germinate so it can be planted in fall while still warm, preferably about two weeks before the weather becomes significantly cooler. 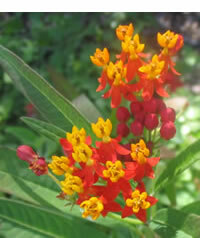 It is showy and reaches five feet in height. This is a famous menopausal herb, in somewhat short supply. Bloodflower is a milkweed that does especially well in the south, but it's showy enough to tempt people in other regions to grow them. They are slow starters but strong once established. The seeds can be sown directly into cold soil. The holy of the holy! 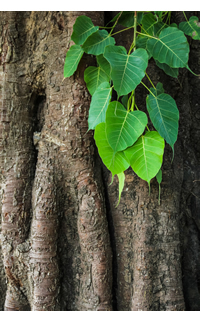 The bodhi tree belongs to the fig family and can be grown in pots or outdoors in climates that do not have frost. Outdoors, it grows extremely fast, but it pots, growth is seriously restricted. The tree produces red flowers in February and edible fruit in May or June. All parts of the tree are used medicinally, but, of course have different properties ranging from intestinal and skin disorders to cancer. Both Gotu Kola and Bacopa are referred to in Ayurveda as Brahmi. We carry both, but this one belongs to the Figwort family (Scrophulariaceae) and requires a lot of moisture and TLC when young. It is difficult to start and then, under the right conditions, it spreads into a kind of mat and produces very small whitish to pale lavender flowers. In many climatic zones, it will have to be grow indoors or in a greenhouse or aquarium. 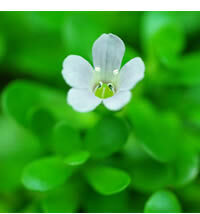 Like gotu kola, bacopa is considered to be a brain care herb and aid to memory. Burdock is called "gobo" in Japanese and is a Zen-like vegetable substitute for carrots. Burdock has been researched and found to be a desmutagen. It is found in countless cancer tonics, from Hildegard of Bingen to Hoxsey and in present times. It is easy to grow and can be harvested the first year, more or less like the carrots that are often prepared with burdock (as in the image). The germination rate is incredible. Burdock can be substituted for carrots in almost any recipe, but it can also be made into cutlets and pancakes, more or less like potatoes. The taste is quite mild and benefits from the addition of spices or seasoning. This is an excellent example of a medicinal vegetable. 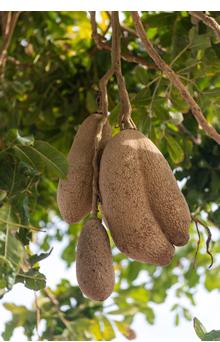 As the name suggests, this tree is native to Africa. It grows slowly to a height of about 60 feet. The "sausages" can be three feet long and the tree has beautiful deep red flowers. It is suitable for zones 9-12 but can be grown indoors or as a bonsai. The main use in Africa is as a famine food for both people and livestock, but the traditional use is for skin conditions, everything from psoriasis to fungal infections. The leaves have antioxidant effects, but what is interesting is that the tree contains lapachol, the same chemical found in pau d"arco so its potential as a cancer herb is being researched.